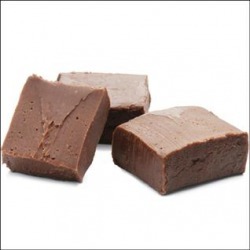 This is one to really satisfy your sweet tooth and chocolate cravings in one single perfect shot, I prefer this fudge to any other hands down. Its also extremely simple to make and should take less than 15 minutes start to finish along with simple ingredients you may already have handy. In a small saucepan, over low heat, melt butter. Add cream and cream cheese, and whisk until smooth. Add Xylitol, and adjust too taste. (Add a little more if you need too). Heat until bubbling, stirring constantly. Reduce heat, and stir in cocoa (again you can adjust too taste) and vanilla. Blend well. Pour into a small buttered dish. Place in the refrigerator to set for 3 to 4 hours. Carbs: 2.2g (excluding sweetener) per portion. Im sure you will be impressed with this super rich chocolaty treat. It can also be used as filling for a low carb cheese cake.